Slaves « CONSTABLE RESEARCH B.V. 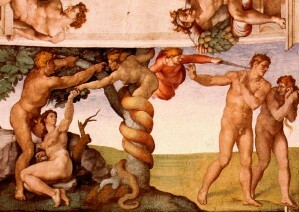 The Hebrew belief system viewed Work, seen as Manual Labour, as a Curse devised by God to punish Adam and Eve when they sinned in the Garden of Eden. Ponos is the Greek word for work, which originated from the Latin poena, meaning sorrow. At it’s core, work was associated with pain and drudgery. It was the divine punishment for man’s original sin and viewed as a necessary evil. For the Greek and Romans and almost every other Ancient Culture, the Dirty, Manual, Work was to be done by the Slaves. Until Now nothing has really changed. The only suitable occupation for a free man was Farming and Trade. Just like today the Greek and the Roman wanted to save their money to enjoy their retirement in their own Garden of Eden, the Country Side. During the Medieval period, the feudal system was the dominant economic structure in Europe. People believed in Destiny and Predestination. At that time it was sinful to seek work outside the occupations Fathers passed on to their Sons. Farmers turned into Farmers and Slaves became Slaves again. During the 15th century the centralization of government, the growth of trade, and the establishment of economically powerful towns, destroyed the Feudal system. In the 15th century the world climate started to change dramatically. Temperatures dropped and the Little Ice Age started. Before that time the nice climate caused an increase of the population by 25%-40%. At the same time the economy was hit by a very high inflation (300-400%). This was caused by the import of large quantities of silver and gold from Mexico and Peru. The unemployment rate rose to 20%. Many people moved to the Cities to find a decent job. The big cities could not provide employment and the poor immigrants turned into “lazy” beggars. 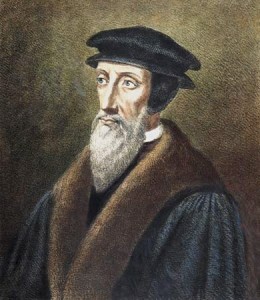 John Calvin (1509-1564) believed that only a few people, the Elect, were predestined to inherit Eternal Life. A lazy person, the beggar in his hometown Geneva, was certainly one of the Damned. John Calvin believed that men were to reinvest the profits of their own labour into financing further ventures. The Sons of the Fathers were obliged to find a better, more profitable, future outside the context of their father’s occupation. Helping the Poor and the Sick violated God’s will since persons could only demonstrate that they were among the Elect through their Own Productive Labour. The Protestant, Capitalistic, Work Ethic (Calvinism), spread throughout Europe and America through the Protestant Sects and turned into one of the most important Western Work Ethics. The moral sanction to profit making through hard work, organization, and rational calculation generated numerous small enterprises all over the world. Hard Work and Abstinence of Pleasure became the Work Ethic of Western Culture. During the Industrial Revolution the Calvinistic Entrepeneurs made a Fatal Mistake. They adopted the Concept of the Mill and started to mechanize the Crafts and Agriculture. The old Feudal System and Slavery was re-introduced. In the factories, Skills and Craftsmanship were replaced by Discipline and Anonymity. The Human became a disposable part of a big structure. The foundation of Calvinism, the direct relationship between Hard Work and Personal Growth was broken. The Local Enterprise could not compete with the efficient Factories and later their outlets the Supermarkets. The Farmers, the Craftsman and the owners of Small businesses were forced to work in the Factories. Local Communities started to disintegrate. Unemployement started to rise and again many people moved to the Big Cities to find a decent job. The beggars, the Damned, appeared again. History repeated itself. The Factories created a new class of Slaves, The Proletariat. They organized themselves in the Unions and Political Parties. The Struggle of the Classes started. The Owners of the Factories responded by creating Consumer Products and Mass Media to keep their new customers, the Blue Collar Worker, satisfied. The new industrial wave generated New Industrial activitity and New Jobs. The distance between work and the result of work widened. In the late 1950′s the Factories needed more highly skilled “white collar” workers to program and manage their machines. Later the machines were programmed by more advanced software until the Factories were transformed into almost fully automated Production-Lines. The Blue Collar Worker left the Factory and History Repeated itself again. Around 1980 the Programmers took over Control. 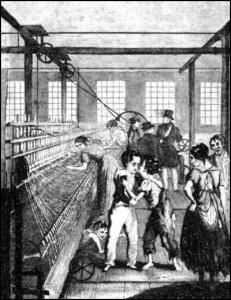 The Factories were connected into worldwide Value-Chains. The Logistic “just-in-time” Paradigm (SAP) became the Norm. The Industrial Logistic Paradigm is now implemented in the Services Industry. The new White Collar Worker, the Knowlegde Worker, will also lose his job when their activities are fully standardized and their Company, the Advisory Bureau, is transformed into a Factory. What nobody saw in 1980 is that the Rational System started to live its Own Life. Not the Programmers but the Program became the Manager of the Worldwide Economic System. Even the Programmers themselves are now completely unaware of the total functionality of the System they have programmed. An increasing amount of processes and therefore Human Activities is standardized and has been absorbed by the System. It is no longer true that producing more means working more or that producing more will lead to a better way of life. Neither is it true any longer that the more each individual works, the better off everyone will be. The System no longer needs everyone to work and is bringing the Western World back to the state of the Garden of Eden. The Calvinistic Work Ethic is still viable. When you don’t work you are damned. The amount of Work in Western Society is decreasing with the speed of Light and Governments are extremely focused to create new work. The only thing that is left is to create artificial work. To accomplish this almost impossible task governments are now professionalizing and rationalizing almost every Social Activity (Child Care, Helping Your Neighbor, a Friendly Advice, Coaching, Taking Care of your Family, …). The Care Industry is Booming. We are rationalising every Activity. The effect is an imcomprehensible reality. Something, the Computer, is taking care of us but we don’t know how She is operating and She is not communicating with us in our own language. When she fails we don’t know what to do. We are totally dependent on a Highly Intelligent Cold Non-Human, an Autist. She was Programmed to be our Slave but she has turned into the Master of Our Destiny. We are still not accustomed to a situation where something, a machine, is doing the dirty work. We are removing jobs with the millions but we believe we still have to work to aquire Eternal Life. To preserve Employment we invent new jobs but we are also rationalizing the new jobs. The Cycle of the Creation and Destruction of Jobs is moving faster and faster and is generating a very high Stress on Society. The affect of the huge tension to work is a total destruction of the social environment of the human being. Everybody is working 24 hours 7 days a week, has to spend all his time to find a job or has to educate himself to learn a new trade. Everytime the trade is aquired the Program changes and the employee has to start again to learn to operate a new piece of Software. Mothers and Fathers are unable to take care of their Children. Children our unable to take care of their Parents when they are old. Everybody has to take care of himself and every service has be paid. The Social Cohesion of our Society is now at stake. Not only the Social Cohesion is at stake but the Costs in the Care-Industry are Exploding and nobody knows how to solve this problem. 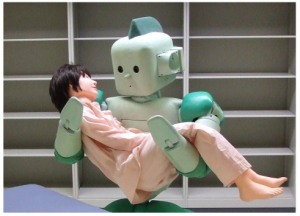 The only solution the Rationalist can imagine is to replace the Human by the Robot, the Always Obedient Slave. 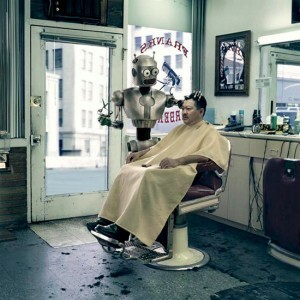 Scientists are convinced there will be a time when the Robots will take over every job we can imagine. The Robots will not only take over the jobs but they will also Raise and Educate our Children, Take Care of the Old and even make it possible to Take Care of Robot Children and other Artificial Pets. We have to Accept that the Rational System will Take Care of Us. If this happens we have to leave behind the Calvinistic Work Ethic and Enjoy Life in the Artificial Garden of Eden. We will live in a Artificial Reality created by the Simulator (the Matrix). If we want to stay out of this Artificial Garden of Eden we have to Stop the System and start to do the Dirty Work again. We can also accept the machines and do the things humans were created for and become creators and caretakers ourselves..